DISCLAIMER: By no means, this post implies a piece of criticism against the tutor. 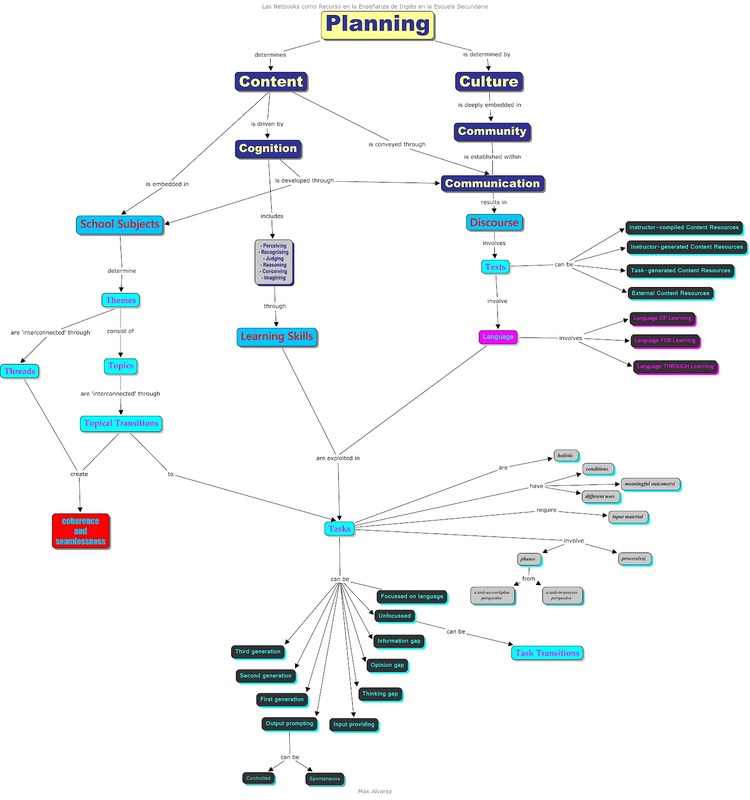 Despite we were told that planning must be the umbrella term in our mindmaps, dare I suggest that that’s not? Why can’t education policy or foreign language education policy be the umbrella term instead? Why can’t either of them be included within the concept of culture? As a concept, culture is broader in scope. I’ve got the strong impression that what we read was a sort of cut-and-paste collection of text bits drawn from different sources whose acknowledgement was either missing or inappropriately cited. If what we read is an academic paper, it doesn’t comply with features of the genre. It’s just a collection of 4 bits (i.e. What is content?, What is CLIL?, What is a task? and The 6T’s Approach) put somehow together. There are no introduction, no transitions from one section onto the following one and no conclusion. Even the whole reference section is missing at the end of this inconsiderate handout. So under these conditions, how can any reader spot a given hierarchy in the whole thing? Obviously, the way the key concepts are arranged in my mindmap just reflects my own (selfish?) interpretation of the information by having recourse to my background knowledge. That is, the semantic hierarchy is not in the so-called text after all, but in my head; and thanks to that, the whole thing becomes coherent to me. Maybe, under these conditions, any mindmap will do. Anyway, this is quite an interesting task to ‘see’ what the readers actually have in their heads.